Best Beard Styles- People often think that fashion is limited to clothes and accessories. But that isn’t correct because fashion is all about expressing one’s self. It is important for men to express their inner style and personalities through their hairstyles and beard styles. You may think that beards can’t be fashionable, but they sure can be! This is why we have made a list of the 15 popular shaving styles that are trending these days. Hope you manage to find a style that suits your taste! You can have a real swag look with these styles. For more men swag fashion check out men swag hairstyles and accessories for a complete look. Whenever you decide to grow a beard, remember to first choose the style you’re planning on. This will allow you to trim and shape it properly and on time so it grows well. There are also certain things that you need for growing a good beard. First of all, buy a nice beard comb. When you start growing a beard, you should comb it as often as possible so your hair grow in the direction that you want. Go for a comb that’s smaller in size so it can easily fit in your pocket or handbag. Also use some beard oils and gels to keep your beard well maintained. Looking after your beard by using these things will help you keep your beard clean and smooth. It will also help you avoid problems like itchy or dry skin, which often accompany beards. Men love facial hair, and this is a great alluring style for them to choose. Focus on the side-parted hair and well defined, rugged stubble. 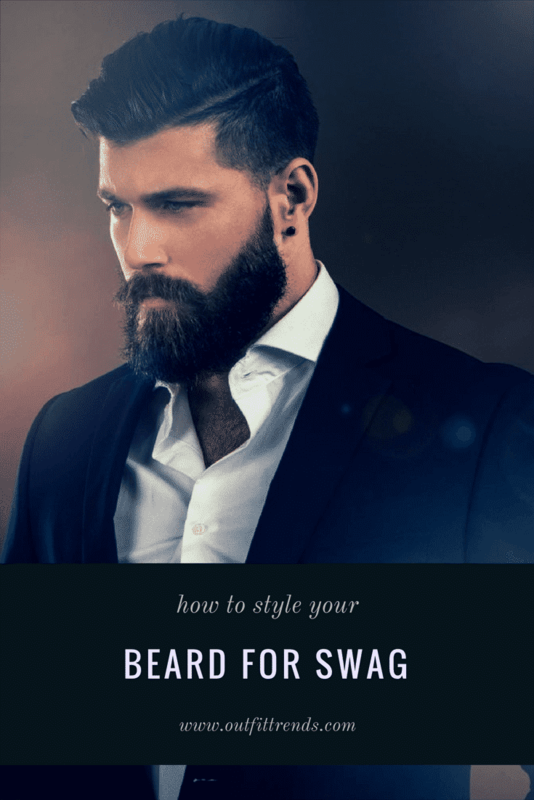 This beard style is wearable to college or even office. This beard style looks great on men with long face cuts. Yes, there are different recommended beard styles for different face shapes. 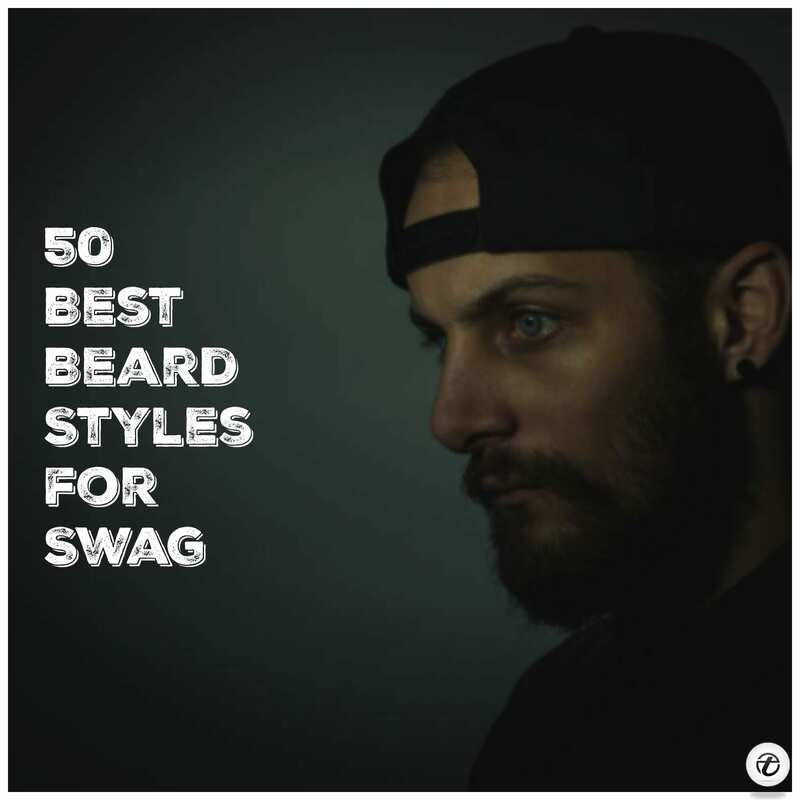 For complete information about each and every one of these, check out the 30 Best Beard Styles 2018 with Names and Pictures. This rough and tough full beard looks a great way to elongate your face if you feel that it’s too round or chubby. Teenage boys love to look manly and mature, and this style is perfect as it does not require much maintenance. It is easy to keep and looks super attractive. This super hot beard look includes spiky hair but only from the front part, very thin beard and a thin mustache. This beard style looks perfect on guys who are in the teens and in the early 20s because they want to look older than their actual age. Check out these Curly Hairstyles for Teen Guys. This is a perfect Adam Lavigne look. For all those Adam Lavigne fans out there, this is the right beard and hairstyle for you to try. Keep your hair gelled and well-oiled for this smooth look that is fun yet easy to keep. Also, make sure that you keep your beard trimmed at all time for this look. Older men can easily pull this look off. Simply stop dying your hair and let it all go natural and long! Because there is no shame in age and age is just a number so why hide your age by using hair dye filled with chemicals? Stop right there and embrace the natural color of your hair and have fun. Keep it chic by applying a lot of frizz-free serum on your hair, to keep your whiskers tamed. This is an extremely daring look for all the confident men out there. Simply let it grow wild! If you’re growing a full beard like this, remember to use beard oil for its nourishment and protection. Restrict the hair on your face to just your jaws, and keep your mustache into a thin line. You may have seen your fav singer Enrique Iglesias rocking this faded beardline look quite often. This look is perfect for boys who are in their colleges or even high schools. They will for sure get elected the home king if they try this look. Keep your hair bald and let the rest of your hair turn gray and shaggy for this fun look. This look is the most opted look among the older Hollywood celebrities. Going bald makes sure that all the attention goes to the beard, not the hair or the hairstyle. Here are some more Beard Styles for Bald Guys. Regular trimming is extremely important to help you maintain the shape of your beard. This look is perfect for younger and older guys because this look will put the age factor to the side. You can also dye your beard to achieve hipster look. But don’t go for funky colors, try to use different shades of brown as the dye color. We produce and exported WOOD BEARD COMB, are you planning to purchase for your side? hoping to serve you. Shut up you dirty foreigner, you can’t even speak English properly.